T hi nkStation Multi IO port Flex adapter supports 2.5 " PCIe SSD, one internal SATA port and one internal USB port. 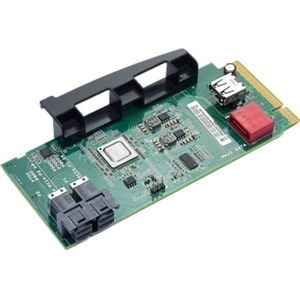 It works with Blind connect adapter in ThinkStation to support SAS drives. It is fully qualified on ThinkStation P5 00, P700 and P900 systems.